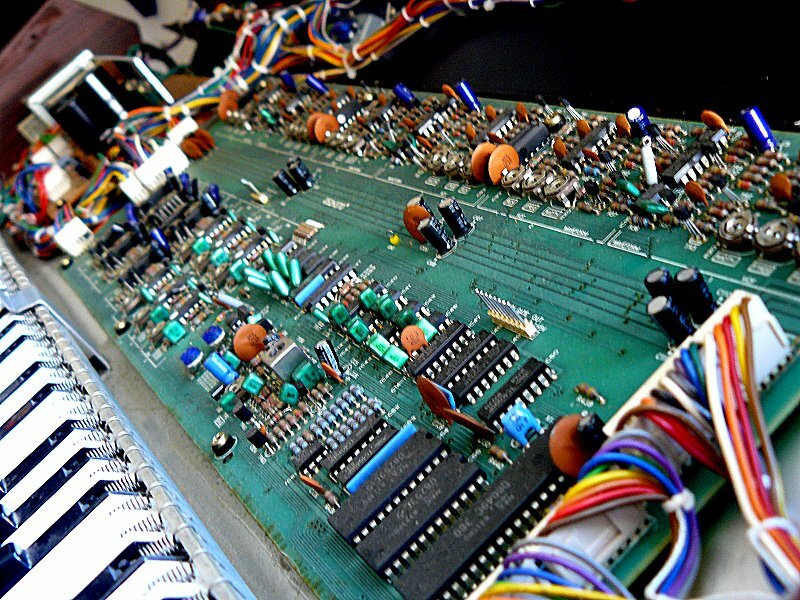 Okay, so its an old 1-osc pre-MIDI polysynth, no big deal, right? Well, actually, YES. This beast turned out to be very surprising indeed. Its unusual for a synth two-plus decades past its heyday, but this 60 looked brand-new - no blemishes, no scratches, just really pristine! So of course, I had to give it a listen. I was immediately hooked and quickly gave it an honored home at Rusty Insects. Having given the Juno a critical listen for quite a while, I have to say the Juno60 sounds a lot thicker than any 1-osc polysynth has any decent right to - a lot of that must have to do with both saw and pulse waveshapes being available simultaneously (and the Sub osc, of course). Then there's the impossibly rich and swirly analog bucket-brigade chorus...thick as a brick! There were even some unexpected "extras" like envelope-driven oscillator PW modulation, a high-pass filter after the sweetly-resonant LP filter and an invertible ADSR. 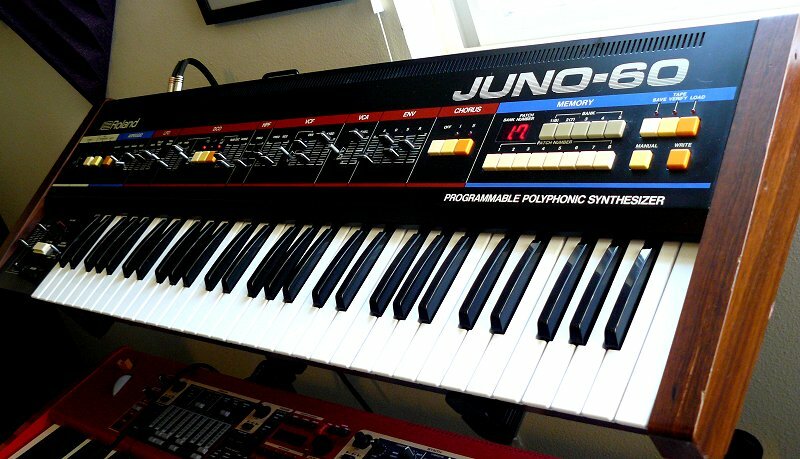 The Juno60 will always be one of those era-defining synths in my view. The strangely warm sound of this old DCO beastie will always have a warm spot in this synthesist's heart.